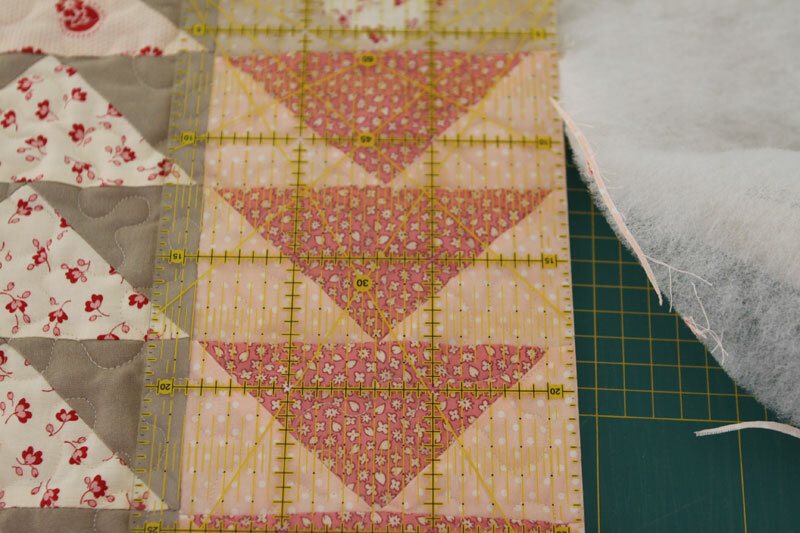 I machine sew the border on the front side, and then I hand sew it on the wrong side. Hi Christine! 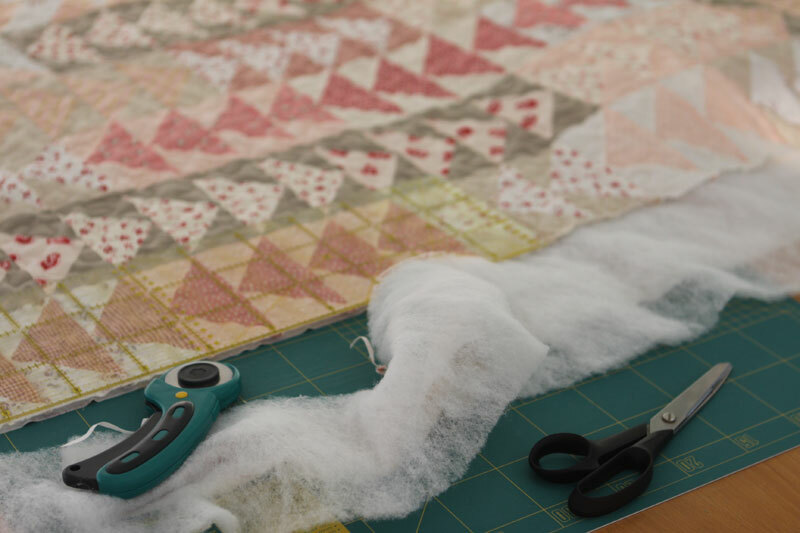 Those glimpses of the quilting look great. I am still oohing and ahhing over the whole quilt! 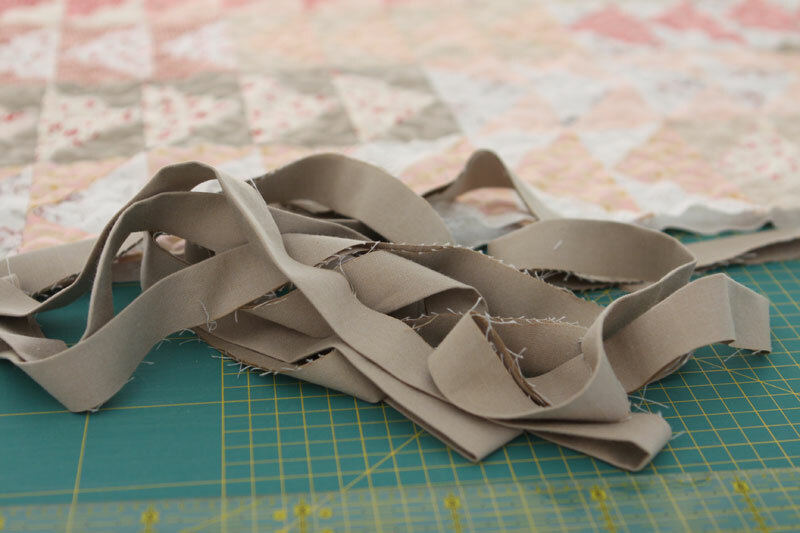 I will be sewing on a binding soon and it is very important that it looks perfect, so I was happy to see how you do it. You are almost finished! 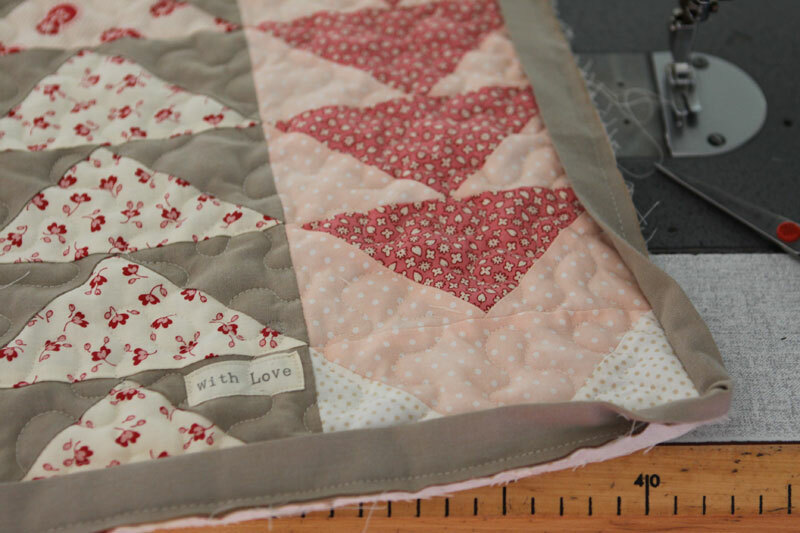 Such a pretty baby girl quilt! 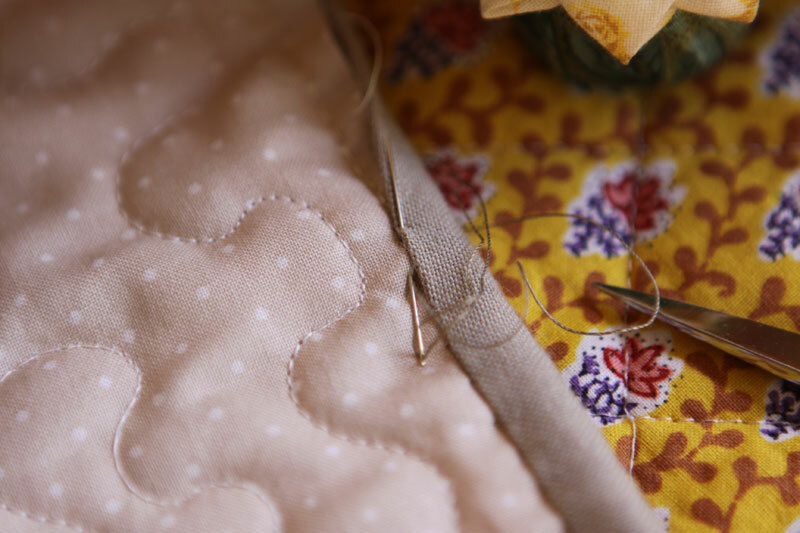 beautiful quilt and oh I love that yellow fabric the scissors are on, whose fabric is that??? ?